RealClearReligion has scoured the globe to come up with this set of 35 pages depicting the ugliest churches in the world. Be they Catholic, Baptist, Lutheran, non-denominational or whatever, these edifices may not be an affront to God... but they are an affront to human eyeballs! Some of them can't really help it: they were obviously a convenience store or movie theater before being converted into places of worship. 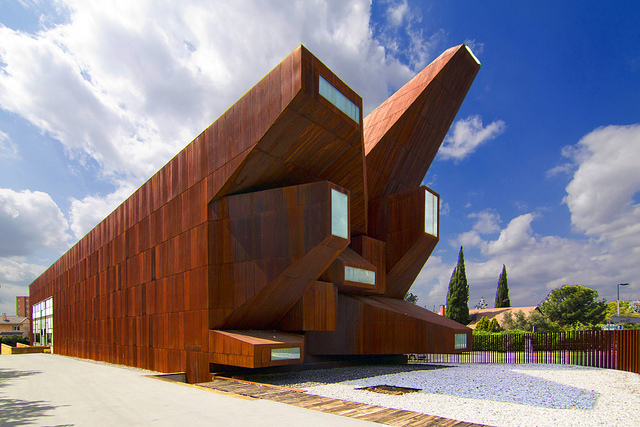 But most of them - like the Church of Santa-Monica in Madrid, Spain - will have you scratching your head and wondering: "what the heck am I looking at?" Others, such as Kappal Matha Church in Uvari, India, simply defy all attempts at rationality. One can't doubt the faith being expressed in these sanctuaries... but there is no loss of bewilderment about what their architects were intending when they designed them!